If there's one thing recent Finals series have shown us, it's that what you thought could 'never' happen – will probably happen. A new era of dominance? A lengthy drought ending? A first ever Premiership? You just never know. The AFL Grand Final is upon us, and one team is going to write a new story. Don’t miss your chance to witness it here – we have your Final’s game plan covered. 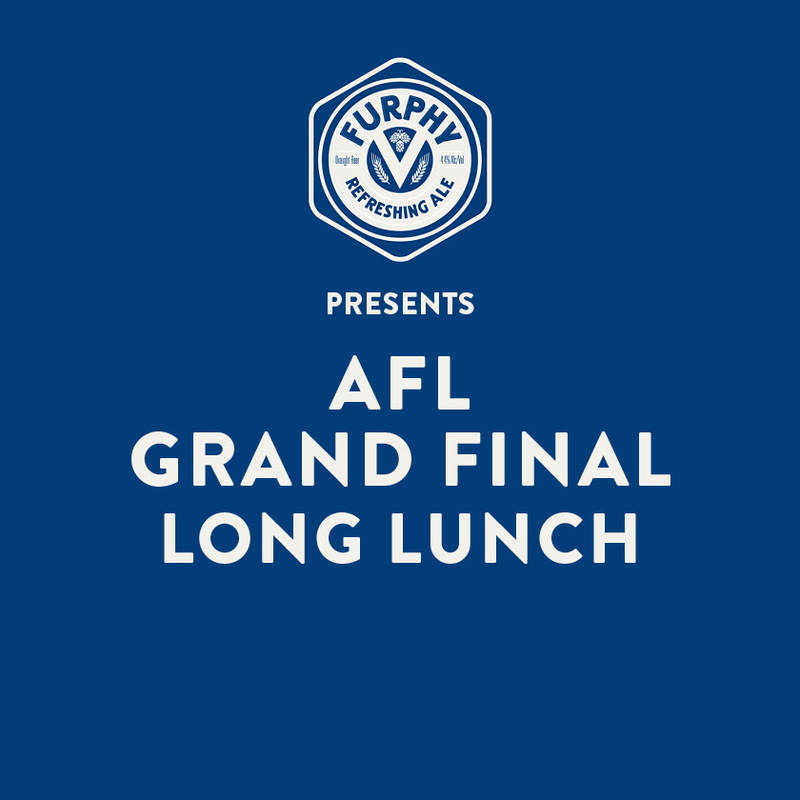 ​Enjoy a Long Lunch at the Osbourne thanks to Furphy with Tomahawk Steak feast by Chef Ben King and a 2 hour beverage package. Revel in the pre-game hype with mates as you sip on ice cold frothies paired with the most tender steak you’ve ever tried, all from the comfort of our private dining room. No need to stress about being too rowdy for the table sitting next to you – the space is all yours! Post lunch, head downstairs and watch the game live on our mega HD screen from your reserved seating in the Backyard. Don’t miss your chance to be a part of this VIP Finals experience. Tickets are $65 per person + booking fee. Book your spot now or call us on 3252 9833 for more deets!